Leasing of commercial property in the Greater Toronto Area was down in the first quarter of 2017 compared to a year earlier. The Toronto Real Estate Board reports that total space leased was 5,538,743 square feet compared to 6,421,452 in the first three months of 2016. Industrial units accounted for most of the leased space in Q1 2017. “The first quarter of the year is generally a slower period for leasing activity and as such the mix of properties is not as diverse. As a result, it is possible to see some volatility in lease rates due to the changing composition of transactions from one year to the next. 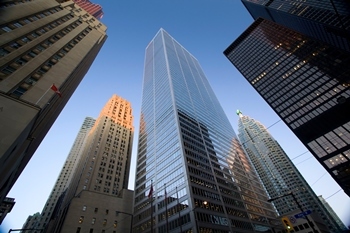 Looking forward, the outlook for the GTA economy is quite positive, which should see demand for commercial real estate remain strong in 2017,” said TREB president Larry Cerqua.